Powder River’s 64-inch tall Classic Feeder Panel will stand up to years of use and substantially increase your feed savings. These panels attach easitly to other Powder River Panels and to wood or steel posts with available adapters. 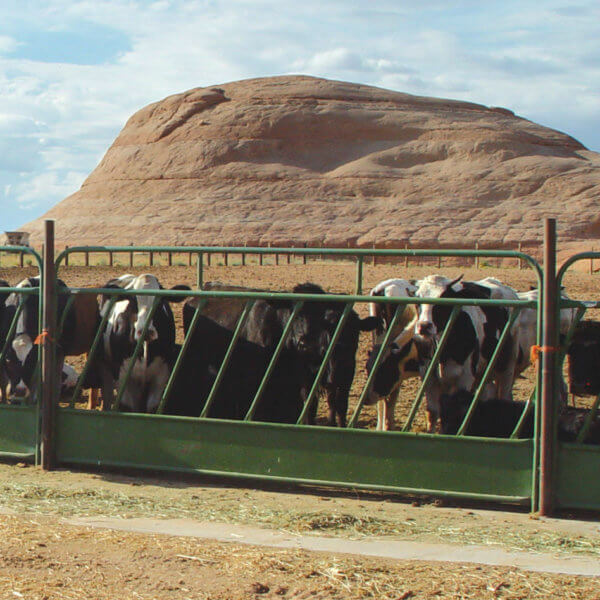 Cattle push hard when feeding and Classic feeder panels are built to handle the pressure for years of use. Slant bar design keeps heads from pulling out as often, thus preventing waste of expensive feed and saving money. Pin to other Powder River panels and posts proving you flexibility in design and ease of installation.